Patching up a leak or replacing your roof soon? During the winter months, harsh weather and changing climates can greatly affect a roof’s life span and performance. 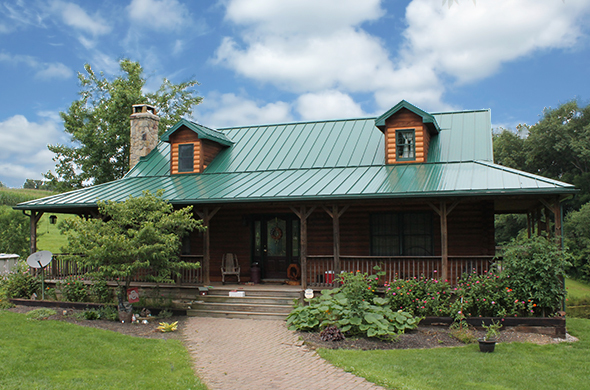 In addition to low maintenance throughout the year, metal roofing provides even more benefits during the colder months. 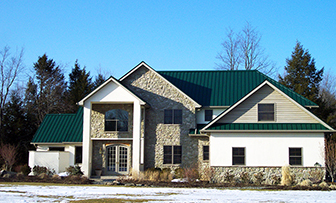 Metal roofing reduces the snow burden. Snow and ice can cause major damage to a structure, especially if the weight burden increases during harsh winters. Metal roof panels are manufactured to resist cold weather damage and are installed to gradually shed snow and ice. Snow guards can help ensure snow safely slides off in small amounts, reducing the chance of injury to those below. Metal roofing cuts the cost of heating bills. Metal acts as an insulator and allows both cool and warm air to circulate without escaping–a benefit realized year-round. This results in lower energy costs throughout the year, and helps your home stay cool in the summer and warm in the winter. Year-round installation means you don’t have to wait until spring. The busiest times of the year for contractors is in the spring, when people are preparing for hurricane season, and in fall, when most homeowners want to fix damages before the colder months arrive. Many people assume that metal roofing can’t be installed during winter because of snow and ice, however, this assumption is false. In fact contractors are more likely to be available and to offer lower pricing during this time. Investing in a metal roof this winter is a decision that will continuously give back financially and environmentally. With installation available throughout the year and benefits that help you instantly save, why wait? Reach out to your local ABC representative to learn more! Metal roof are definitely a good direction to go in if you live in a very snowy climate. Not having to worry about the weight on your roof is definitely a relief.